Virginia Louise Moody Shelby, age 84, resident of Somerville, Tennessee and wife of the late William Leodus Shelby, departed this life Monday morning, February 4, 2019 at the National HealthCare Center in Somerville. 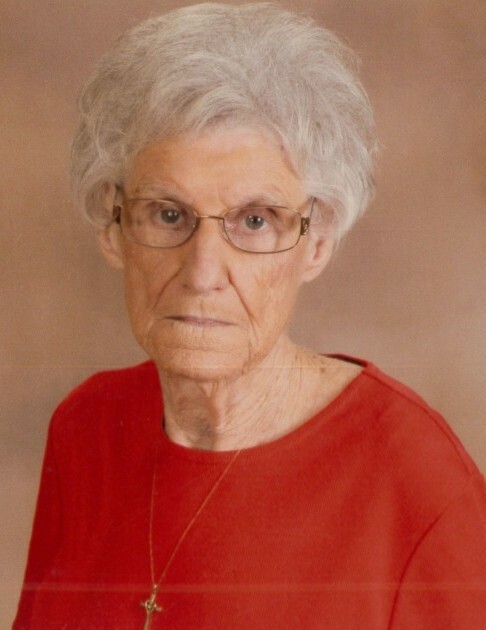 Funeral Services for Mrs. Shelby were conducted at 1 P.M. Friday, February 8, 2019 at the Peebles West Funeral Chapel at Oakland. The officiating ministers were Rev. Jack Gresham and Bro. Carl Doyle. Special music was provided by Bo Fletchall. Interment will follow in the Mt. Olive Cemetery in the District 15 Community. Arrangements were provided by Peebles Fayette County Funeral Homes & Cremation Center – West Chapel at Oakland. Louise was born November 7, 1934 in Hardeman County, Tennessee, the daughter of James Monroe Moody and Myrtle Voyles Moody. She received her education in the Shelby County School System and was married December 8, 1961 to William Leodus Shelby, who preceded her in death on May 21, 1999. She was a resident of the Oakland area for 45 years and was employed as a seamstress at Master Apparel in Somerville for many years before her retirement. Louise was a member of Macon First Baptist Church and a former member of Mt. Olive Baptist Church in the District 15 Community. Mrs. Shelby is survived by her daughter, Virginia Ann Bobbitt (Charles “Bubba”) of Somerville, TN; her stepdaughter, Loyce Shelby Scott of Memphis, TN; her nephew she thought of as a son, Robert Huddleston of Hertford, NC; six grandchildren, Larry Gardner, Jenny Cowgil, Donnie Spicer, Josh Spicer, Joseph Spicer, Dale Spicer; five great-grandchildren, many special nieces, nephews and a very special friend, Caity Weeks and her family. In addition to her husband and parents, she was preceded in death by her daughter, Susan Renea Shelby; her stepdaughter, Linda Joyce Gardner; and her sister, Helen Markle. Those honored to serve as pallbearers were Donnie Spicer, Joseph Spicer, Josh Spicer, Mitchell Bellora, Chase King and Luke Berry. The family requests that memorials be directed to the American Stroke Association, 7272 Greenville Avenue, Dallas, TX 75231 or the Alzheimer’s Association, 225 North Michigan Avenue, Floor 17, Chicago, IL 60601.